This is a great display piece. 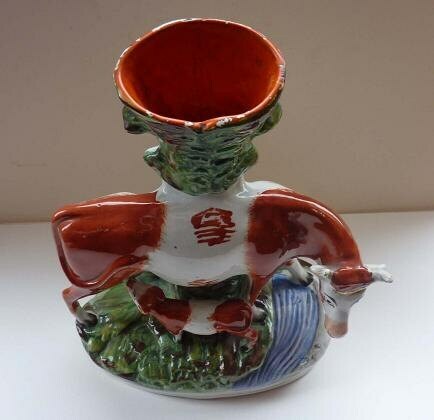 It is a rarer large Staffordshire spill vase. 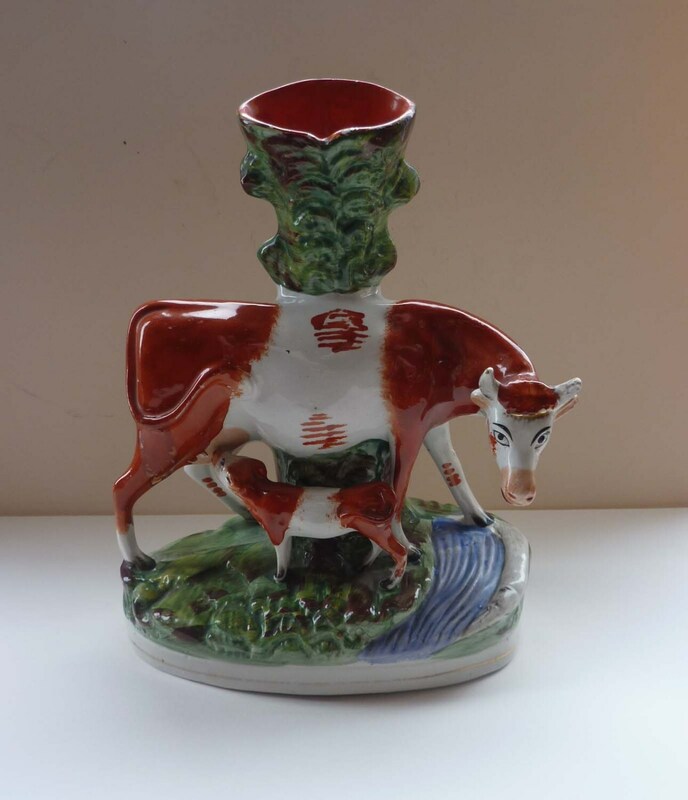 The vase takes the form of a figurine of a cow suckling her little calf - they stand in front of a tree stump which is on the side of a river. 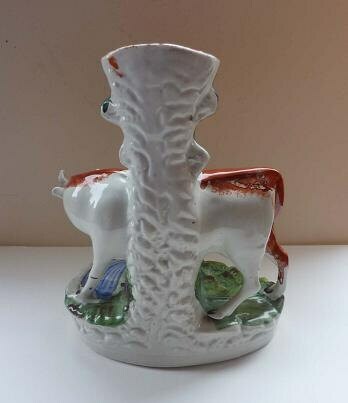 No damages to the horns or legs which you often find on these antique pieces. A nice large size - 11 inches in height. The model dates to around 1860. In good condition for its age, with only very minor chipping to the paintwork around the top edge of the model. 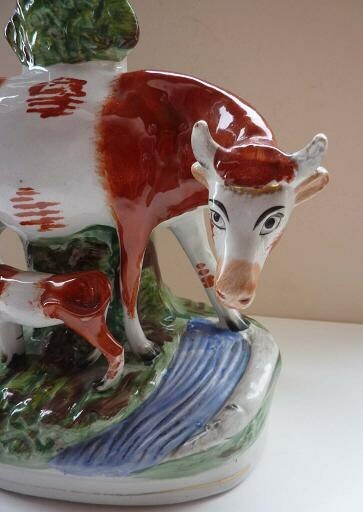 A great display piece for a country cottage or farm.